 Your gift to the Franklin County Community Impact Fund with the Community Foundation of Franklin County allows us to continually respond to the current and unique needs of Franklin County. By making this gift, you give us flexibility to fund charitable programs and projects in the community to explore the arts and celebrate diversity, support healthy lifestyles, protect natural resources, educate future generations, preserve the past, build hope for tomorrow, ensure a safe place to live, and improve the quality of life for all. Your gift to the Franklin General Hospital Foundation Endowment Fund with the Community Foundation of Franklin County will help support Franklin General Hospital's mission to provide access to high quality healthcare for everyone, including the community's most vulnerable populations. Your gift to the Dr. Robert L. Moore Family Scholarship Fund with the Community Foundation of Franklin County supports the annual distribution of scholarships to qualified graduates of Franklin County schools pursuing higher education in the field of health or other science-related study. As the cost of tuition continues to rise, financial assistance is more important now than ever to diminish the barrier of affordability and allow students to focus on what is most important - their education. Your gift to the Rolling Prairie Trail Endowment Fund with the Community Foundation of Franklin County will contribute to an ongoing support system to maintain and develop the trail, while keeping its natural beauty and provide quality recreational opportunities for citizens of Franklin County and surrounding areas. Your gift to the Windsor Theatre Endowment Fund with the Community Foundation of Franklin County will support the charitable activities of the Windsor Theatre.